StoryToys, a leading publisher of interactive books and games for children, has announced in the following press release, from Coolabi.com, the release of "Poppy Cat and the Bubble Volcano", a brand-new 3D pop-up activity app based on the award-winning "Poppy Cat" series! The app, produced by StoryToys in collaboration with Coolabi, a leading international media group, and The Kindly Ones Productions, is available to purchase and download on the App Store for iPhone, iPad and iPod, priced at $2.99 / €2.99 / £1.99! Additionally, Coolabi has also announced in the same press release, below, the exciting news that Nickelodeon UK and Eire's preschool channel, Nick Jr. UK and Ireland, will start to premiere and show brand-new episodes from the all-new second series of the popular "Poppy Cat" animated preschool television series from Monday 8th September 2014! Dublin, Ireland – August 28th, 2014 – StoryToys a leading publisher of interactive books and games for children today announced the release of Poppy Cat and the Bubble Volcano, an enchanting 3D pop-up activity app based on the best-selling Poppy Cat books and T.V. series. It is produced in collaboration with Coolabi, a leading international media group, and The Kindly Ones Productions. The app is available from August 28th on the App Store for iPhone, iPad and iPod, priced at $2.99 / €2.99 / £1.99. Poppy Cat originated as an award-winning book series created by Lara Jones which has sold more than 2.5 million copies worldwide. The Poppy Cat TV show has been distributed in over 140 territories and has over 100,000 likes on Facebook. The Poppy Cat and the Bubble Volcano app features an original story that sees Poppy and her friends dive deep into the ocean to explore a magical underwater world. Its release coincides with the UK launch of series two of Poppy Cat on September 8th on Nick Jr.
"We're thrilled to have the opportunity to work with Coolabi on the much-loved Poppy Cat brand," said Barry O'Neill, CEO of StoryToys. "The Poppy Cat stories celebrate imaginative play and problem-solving, and, as such, are an excellent fit for StoryToys. Our apps give kids a way to directly interact with their favourite characters in a richly immersive experience, stimulating the imagination while simultaneously testing their problem solving skills with cleverly interwoven games and puzzles." Val Fry, Director of sales adds, "Poppy Cat is all about making everyday adventures extraordinary and what better way to enhance a child's learning experience than with a 3D pop-up activity app. This will bring hours of fun to pre-schoolers who are fans of the hit series and will appeal to those new to the property," said Valerie Fry, Director of Sales, Coolabi. "StoryToys is a well respected and experienced partner and we have enjoyed collaborating with them on this launch." Poppy Cat and the Bubble Volcano is available from August 28th, 2014 for $2.99 / €2.99 / £1.99 on the App Store for iPhone, iPad or iPod Touch. Coolabi is a leading, independent, international media group and rights owner specialising in the creation, development and brand management of children's and family intellectual property rights. The group, made up of Coolabi and Working Partners, has a particular expertise in the media of publishing, television and digital. Brands owned and represented by Coolabi include Poppy Cat, Purple Ronnie, Beast Quest and the Smallfilms' trio of properties Bagpuss, Clangers and Ivor the Engine. The Kindly Ones Productions is a developer of children's apps and games. Poppy Cat and the Bubble Volcano is the company's first release. Follow NickALive! 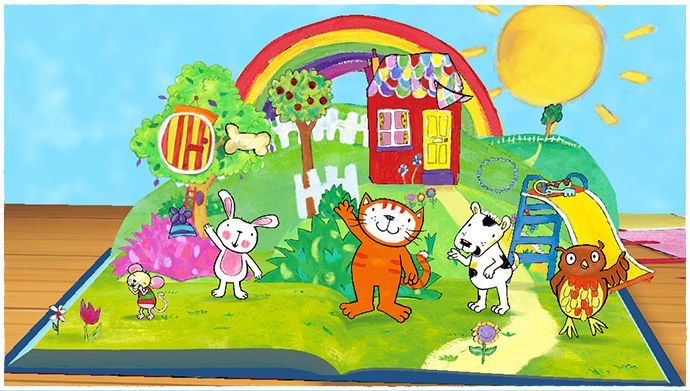 on Twitter, Tumblr, Google+, via RSS, on Instagram, and/or Facebook for the latest Nick Jr. UK and Poppy Cat News! Nickelodeon UK has announced some of the exciting action which will feature in the upcoming fifth and final brand-new episode of Nick UK's gigantic brand-new magazine-style show "Get Your Skills On"! In episode five of "Get Your Skills On", which Nickelodeon UK and Ireland and Nickelodeon HD UK will premiere and show on Saturday 6th September 2014 at 9:00am (repeated at 10:00am on Nick+1), the competition draws to a record-breaking, star-studded freestyling finish! Drew Hoops has broken two Guinness World Records so far this Summer, can he smash a third? Plus, the Fruit Shoot Skills Crew look back over the summer, there's MASSIVE live performances from Union J AND Ella Eyre, and then its the moment you've been waiting for, as The Fruit Shoot Skills Crew announce the winners of the coveted 2014 Fruit Shoot Skills Awards! Following the debut of the finale episode of "Get Your Skills On", Nickelodeon UK will encore episode three on Sunday 7th September 2014 at 6:30pm (repeated at 7:30pm on Nick+1). Catch all the epic action and more in the next all-new episode of "Get Your Skills On", only on Nick! It's time to #GetYourSkillsOn! Don't forget to vote for who YOU want to win the Trick Star "Fruit Shoot Skills Awards 2014" award today at nick.co.uk/getyourskillson! Follow NickALive! on Twitter, Tumblr, Google+, via RSS, on Instagram, and/or Facebook for all the latest Nickelodeon UK and Fruit Shoot Get Your Skills On News! 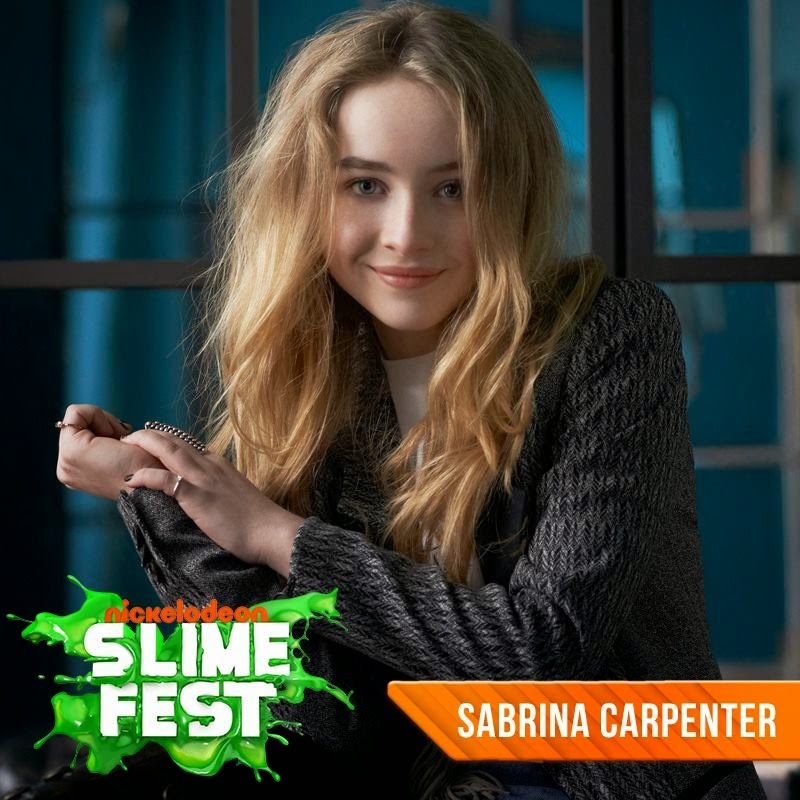 .#SLIMEFEST update: We’re SUPER excited to announce that Sabrina Carpenter is going to perform at SLIMEFEST! To make sure that their third annual SLIMEFEST event is the biggest, bestest and and slimiest SLIMEFEST ever to give attendees the slime of their life, Nick AU will take over the Sydney Olympic Park Sports Centre in Sydney (SYD), New South Wales (NSW) on Friday 26th September 2014 to hold their first SLIMEFEST concert, then will be taking all the slimy action on the road to Melbourne (MEL) to hold a second SLIMEFEST concert at the State Netball Hockey Centre in Parkville, Victoria (VIC) on Sunday 28th September 2014! Each concert will feature two SLIMEFEST shows, a morning show at 11:00am and a evening show at 6:00pm. Tickets to attend SLIMEFEST 2014 are currently available to be purchased on Ticketmaster Australia! Follow NickALive! on Twitter, Tumblr, Google+, via RSS, on Instagram, and/or Facebook for the latest Nickelodeon Australia & New Zealand and SLIMEFEST 2014 News! The entertainment news website IGN UK is reporting in the following article the very exciting Nickelodeon International News that Nickelodeon Australia has announced that Nickelodeon Australia and New Zealand is planning to start to premiere and show "The Legend of Korra" Book Four, the fourth and final season of Nickelodeon's hit original animated series (Nicktoon), in January and February 2015! Additionally, Nick AU/NZ has also announced that the Australian and Kiwi version of the world's number one kids' channel will start to premiere season 3 of the show, titled "Book Three: Change", sometime in October 2014! Both seasons will screen on Nickelodeon Australia and New Zealand but will also be made available in full on day one through Foxtel Go and Anytime services, with iTunes following shortly after. It is currently unknown when Nickelodeon USA will premiere "Legend of Korra" Book 4, however, it is speculated Nick USA will start to debut Book 4 around the same time, as Bryan Konietzko, co-creator of "The Legend of Korra", suggested during Nickelodeon's "Korra" panel at Comic-Con International: San Diego 2014 that the show will have a presence at the New York Comic-Con. It is also currently speculated that Book 4 will be titled "Balance", however, the "Legend of Korra" news has yet to be confirmed. 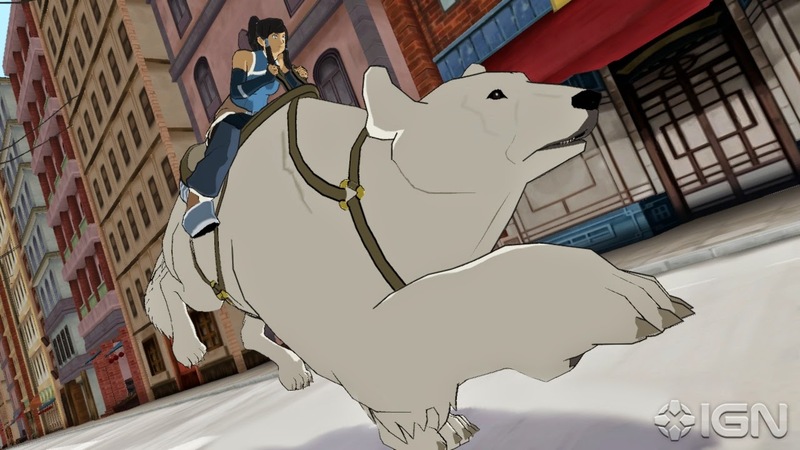 After a hiatus, The Legend of Korra will return to Australian screens. The Legend of Korra fans will be pleased to hear the show's final season is only a few months away with a Nickelodeon representative telling IGN Book 4 will premiere in Australia in January/February 2015. Nickelodeon also said Season 3 of the show, titled 'Book Three: Change', will premiere sometime in October. Both seasons will screen on Nickelodeon but will also be made available in full on day one through Foxtel Go and Anytime services, with iTunes following shortly after. Nickelodeon Australia's decision to distribute the show through multiple platforms is similar to how the latter half of the show's third season was distributed in the US via Amazon, Xbox Video, Hulu, Google Play and Nickelodeon's own on-site streaming service, after the show was abruptly taken off-air mid-season. Follow NickALive! on Twitter, Tumblr, Google+, via RSS, on Instagram, and/or Facebook for the latest Nickelodeon Australia & New Zealand and The Legend of Korra News! 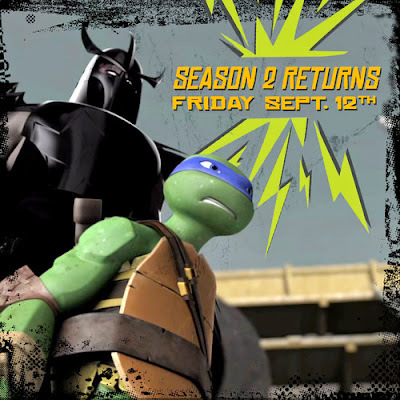 Nickelodeon has announced in their latest "Teenage Mutant Ninja Turtles" fan club e-Newsletter (August 2014) the Booyakasha TMNT news that Nick USA will start to premiere and show the remaining four episodes of the networks hit CG-animated "Teenage Mutant Ninja Turtles" series from Friday 12th September 2014! According to The Futon Critic, Nickelodeon USA will premiere "A Chinatown Ghost Story" on 9/12 and "Into Dimension X!" on Friday 19th September 2014, which will lead up to the debut of the brand-new one-hour second season finale episode, titled "The Invasion", which Nick USA will premiere in two-parts on Friday 26th September 2014! Each all-new episode will air at 7:00pm (ET/PT). Following the premiere of the season two finale, Nickelodeon USA will start to premiere and show "Teenage Mutant Ninja Turtles" season three, which will continue the adventures of Nickelodeon's justice-sworn, pizza-fuelled, half-shelled heroes from Friday 10th October 2014 at 7pm (E/P)! Follow NickALive! on Twitter, Tumblr, Google+, via RSS, on Instagram, and/or Facebook for the latest Nickelodeon and Teenage Mutant Ninja Turtles News! The news you've been waiting for #HauntedHathaways all new episodes starting 9/6 at 7:30 on @NickelodeonTV @DailyNickNews @NickKidsNet. Additionally, Nickelodeon UK and Ireland/HD will be premiering a brand-new episode of "The Haunted Hathaways" the weekend of Friday 5th September 2014 as part of a special "Gotta Spot It" weekend! The television news website The Futon Critic is reporting the exciting Nick News that Nickelodeon USA will premiere and show a brand-new "Lalaloopsy" TV special called "Lalaloopsy Girls: Welcome to L.A.L.A. Prep School! ", which will be based on MGA Entertainment's "Lalaloopsy Girls", a brand extension of MGA's popular doll line, on Sunday 7th September 2014 at 12:00pm (ET/PT)! Photo from the official Lalaloopsy Girls Facebook profile page. "Lalaloopsy Girls" are your favorite "Lalaloopsy" characters now all grown up! Join the girls as they embark on an adventurous and magical year at Lalaloopsy Academy for Learning Arts (L.A.L.A. Prep)! Their motto is "Stitched Together... Friends Forever!". Additionally, Nick Jr. USA is expected to debut a brand-new one-hour "Lalaloopsy" TV special titled "Lalaloopsy Babies" soon! MGA Entertainment are also planning to release their "Lalaloopsy Babies" movie on DVD in October 2014. "Lalaloopsy Babies" is based on MGA Entertainment's popular brand extension of their "Lalaloopsy" doll line, in which each doll features a soft body. Follow NickALive! on Twitter, Tumblr, Google+, via RSS, on Instagram, and/or Facebook for the latest Nickelodeon, Nick Jr. and Lalaloopsy News! 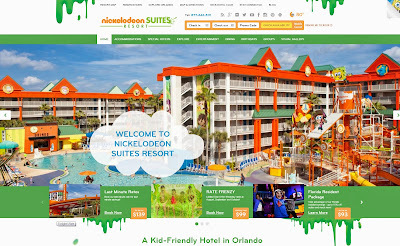 Nickelodeon Suites Resort, the only Nickelodeon-themed resort of its kind in the world, and HeBS Digital, the leading hotel digital technology, full-service digital marketing and website revenue optimization consulting firm, recently announced in the following press release, from Hospitality Net, the relaunch of the official Nickelodeon Suites Resort website, NickHotel.com! Set to drive higher direct online revenues for the property, the new family-friendly resort website offers an excellent user experience on desktops, mobiles and tablets to meet the needs of its guests on every screen. HeBS Digital, the leading hotel digital technology, full-service digital marketing and website revenue optimization consulting firm is proud to announce the launch of the new Nickelodeon Suites Resort website. Set to drive higher direct online revenues for the property, the new family-friendly resort website offers an excellent user experience on desktop, mobile and tablet to meet the needs of its guests on every screen. HeBS Digital's team of designers, programmers, developers, marketers and copy + SEO specialists worked together to develop a website utilizing state-of-the-art CMS technology, entertaining content with vibrant full-screen images, search engine-optimized copy, and adaptable design layouts. Employing a new experience in website design, parallax scrolling, the website dynamically animates as the user scrolls. SLIME drops down the page and the Teenage Mutant Ninja Turtles animate, grabbing the attention of the visitors and distinguishing the site from those of its competitors. "Our website is a vital component of our marketing strategy and is an essential channel for us to bring Nickelodeon to life. Designed for parents, we also have an area just for kids." said Tony Aslanian, Director of Sales, Marketing & Revenue Strategy at Nickelodeon Suites Resort. "As a result of HeBS Digital's state-of-the-art technology and years of industry knowledge, we are expecting to increase our ROI and guest experience." "We couldn't be more excited to partner with Nickelodeon Suites Resort and bring the signature style of their brand to life through this innovative and interactive website," said Mariana Safer, SVP, Marketing of HeBS Digital. "Families will enjoy dreaming of their upcoming trip through this visually rich website, supported by the industry's most advanced digital technology on the back end. The site and the supporting digital marketing strategy is already bringing in substantial direct revenues for the resort." Nickelodeon's biggest fans can enjoy an interactive "Kids Corner," with entertaining quizzes to discover a collection of kooky jokes and riddles. A kid-friendly interactive resort map allows users to scroll over each area of the expansive resort to get more information and preview the fun that waits. Click here to visit the new Nickelodeon Suites Resort website. Founded in 2001, HeBS Digital is the industry's leading digital technology, full-service hotel digital marketing, website design and direct online channel consulting firm based in New York City (www.hebsdigital.com). HeBS Digital has pioneered many of the "best practices" in hotel digital marketing and website revenue optimization, as well as a range of industry-first digital technology applications. The firm has won more than 250 prestigious industry awards for its digital marketing and website design services, including numerous Adrian Awards, Davey Awards, W3 Awards, WebAwards, Magellan Awards, Summit International Awards, Interactive Media Awards, and IAC Awards. A diverse client portfolio of top-tier major hotel brands, luxury and boutique hotel brands, resorts and casinos, hotel management companies, franchisees and independents, and CVBs are benefiting from HeBS Digital's direct online channel strategy and digital marketing expertise. Contact HeBS Digital's consultants at (212) 752-8186 or success@hebsdigital.com. Located in the heart of Orlando's tourism district, Nickelodeon Suites Resort, otherwise known as the Nick Hotel, is much more than a place for guests to lay their heads at night. From two over-the-top pool complexes with slides and flumes, to live entertainment and character breakfasts featuring Nickelodeon's beloved characters, to a multimillion dollar 4-D Theater, to the colorfully themed kid suites and gallons upon gallons of slime, Nick Hotel offers non-stop activity from dawn to dusk for the entire family any time of the year. For more information about the Nick Hotel, visit http://www.nickhotel.com or call (877) NICK-KID. In a exclusive video interview with the entertainment news website IGN UK, below, Activision producer Robert Conkey has announced that Platinum Games and Activision will release their highly anticipated brand-new downloadable video game based on Nickelodeon's popular original fantasy steampunk-themed animated series (Nicktoon) "The Legend of Korra" on Tuesday 21st October 2014 on PlayStation Network and PC, and on Wednesday 22nd October 2014 on the Xbox Marketplace! Conkey also discusses working with Nickelodeon voice actors Janet Varney, David Faustino and P.J. Byrne on the game, talks about what it would take for Activision to continue with additional Legend of Korra games, and demonstrates the games new pro-bending mode. Additionally, IGN has also unveiled video interviews with "Korra" stars Janet Varney (voice of Korra) and David Faustino (voice of Mako) were also on hand, along with show creators Bryan Konietzko and Mike DiMartino, to discuss the game, the epic finale of "Book Three: Change", and what's ahead in "Book 4", which you can also watch in the online streaming video clips below! Take a look at a demo of the pro-bending mode below. Konietzko and DiMartino discuss the game, the emotional Book 3 finale, airbender antics, Zaheer's remarkable bending skills and ultimate defeat, the devastated state that Korra was left in, and where things are headed for Team Avatar from here in the video below. 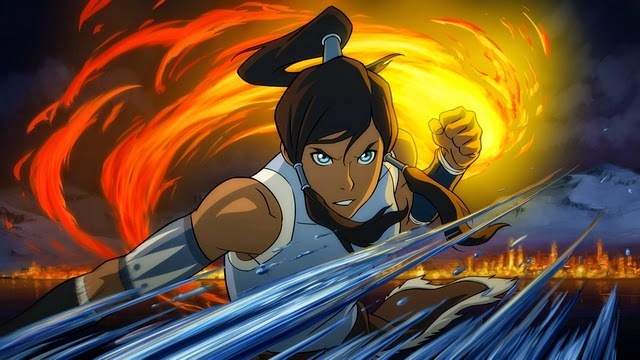 According to Mike DiMartino, who heads the show's writing team, The Legend of Korra was structured "around Korra's big sacrificial moment of saving the Air Nation and giving her that really big heroic moment. But," he notes, "it definitely came at a big price – a big cost to her emotionally and physically." "It's a bittersweet victory for Korra," DiMartino observes. In Book 4, he says, Korra will have "some recovering to do." The co-creators also address the unprecedented intensity and drama of Book 3. "There were some discussions [with Nickelodeon] about how far we could take it," DiMartino admits, discussing the euphemistic language the show had to employ to avoid words like "death" or "killed." But "we weren't just trying to do it because we like doing mean things to our characters. We had to back Zaheer's talk up with this very serious action." Though fans were intrigued by Zaheer and the Red Lotus, the co-creators don't intend to set up the lone survivor as Korra's nemesis for Book 4. "He's not dead," Konitezko confirms, "but we do have a new threat and a new enemy for Korra to face." "But it all ties in… to Book 3," he teases. Similarly, fans can expect to see "the residual effects" of Tenzin's new mandate for the airbenders in Book 4. As a wide-scale peacekeeping force, the Air Nation can take some of the burden of maintaining balance off of Korra's shoulders – though many fans question whether or not Korra will welcome this change. Konietzko and DiMartino also speak about the upcoming Legend of Korra video game, which they considered a "fun, rewarding and positive" experience. With a story written by staff writer Tim Hedrick and "an awesome new villain," the co-creators seem just as eager as fans to get their hands on the new downloadable game. Varney and Faustino talk about where we found their characters at the close of Book 3, the challenges ahead for Korra and her team, as well as the various couples that fans - and they themselves - root for in the video below. In the highly competitive preschool space, where global demand for cross-platform content that both entertains and educates continues to grow, kidcasters are increasingly looking to develop quality new concepts that best reflect the changing needs of today's early learners and their parents. In a series of special article, below, Kidscreen and The New York Times takes a look at Nickelodeon's legacy of delivering high-quality preschool shows driven by engaging characters, stories and interactivity, such as "Blue's Clues" and "Dora the Explorer", and a look at Nickelodeon's preschool programming highlights for the networks 2014-2015 season, including "Dora and Friends: Into the City! ", "Blaze and the Monster Machines", "Shimmer & Shine" and "Fresh Beat Band of Spies", plus brand-new episodes from current preschool series such as "PAW Patrol", "Bubble Guppies", "Dora the Explorer", "Peter Rabbit" and "Team Umizoomi"! The articles also talk about why Nickelodeon Preschool decided to delay the release of their highly anticipated Nick Jr. App until Fall 2014. In the highly competitive preschool space, where global demand for cross-platform content that entertains and educates continues to grow, kidcasters are increasingly looking at new concepts that best reflect the changing needs of today's early learners and their parents. For Nickelodeon, which has maintained a legacy of delivering high-quality preschool shows (Blue's Clues, Dora the Explorer) driven by engaging characters, stories and interactivity, its 2014/15 season is notably significant. "Two years ago we made a decision to increase our pipeline by developing and producing more content than ever before, and now we are seeing the fruits of our labor," says Teri Weiss, EVP of production and development for Nickelodeon Preschool. "With every market, there is more content and stronger worldwide competition than ever, especially in the preschool space. So it's crucial that we cut through the clutter and remain best-in-show for kids content." A big reason for Nickelodeon's success with preschoolers is its ongoing commitment to research and curriculum diversification. Among its new shows, Wallykazam! is Nick's first literacy-themed series. Blaze and the Monster Machines is billed as the first preschool show dedicated to all aspects of STEM (science, technology, engineering and math). Dora and Friends: Into the City!, meanwhile, examines social-emotional skills like community service and peer relationships. Shimmer & Shine stresses learning from mistakes in its emotional-intelligence curriculum, while Fresh Beat Band of Spies teaches problem-solving. "What we bring is the strength of our characters and storytelling, combined with a really unique way to approach the curriculum of each show, and integrate it in a way that feels very organic. This is our domestic and global challenge," says Weiss. She points to Wallykazam! and Blaze and the Monster Machines as great examples of how Nick is integrating curriculum in new ways. For both series, in fact, Nickelodeon took its usual storybook episode-testing and curriculum consultations a step further. "In addition to educational consultants, we started to integrate preschool and kindergarten teachers into our collective group for feedback, which was tremendously helpful. They could really identify what kids are struggling with and the things they are interested in/responding to," says Weiss. To ensure STEM concepts in Blaze would resonate with its youngest audience, for example, Weiss says Nick paid special attention to visual and musical cues. "When you talk about force, adhesion and inertia, they can be very heady concepts. But because we have the ability to demonstrate them visually by showing vehicle impact, or the way car suspension works, it helps get the difficult concepts across more easily," she says. The use of catchy songs is also a good method to help kids define scientific terms, she adds. "If kids can recite the songs in their heads, the science will stick. Repeat viewing is really important, too." So far, Nick's 2014/15 programming strategy for preschool is paying off. As of April, its preschool block's year-to-date average sat at 4.9 for kids ages two to five on US television—an 11% increase versus the same period a year ago, according to Nielsen ratings. PAW Patrol and Wallykazam! also filled the number- one and two spots, respectfully, as the top-rated preschool shows for kids ages two to five on all US cable TV for the same period. 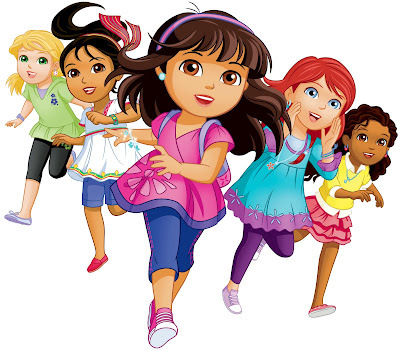 As new shows continue to roll out (Dora and Friends in late summer, Blaze this fall, Shimmer & Shine and Fresh Beat Band of Spies in 2015), Weiss says the future is bright for Nick's preschool production, noting the importance of cultivating talent internally and identifying new talent outside the network through its Nick Jr. animated shorts program. "Our success rate for developing preschool series out of our shorts program has been terrific, and we'll soon be able to showcase shorts on the Nick Jr. App, giving us another great opportunity to expose talent," says Weiss. The Nick Jr. App, originally slated to launch in the US this spring, is now expected to debut this fall, according to Nickelodeon's SVP of digital Matthew Evans. "It gives us a better opportunity to launch with our upcoming new shows like Dora and Friends," he says. "And it gives us extra time to ensure we will have double the amount of interactive activities and more original content. It will ultimately be a stronger experience for our audience and better reinforce our focus on curriculum." Talking trucks. Dinosaur trucks. Builders who use elaborate trucks. Then there are space adventurers, animal and alien, as well as genies and fairies. Television networks and their online streaming equivalents are awash in new characters intended to appeal to preschoolers. In recent years, adult television viewers have reveled in an overflow of quality programs that critics have called a new golden age. So why shouldn't preschoolers be equally spoiled? At a family-focused charity benefit on a sultry June day in Central Park, kids lined up to strap into the "Astroblast! Zero Gravity Bungee Jump" hovering high overhead. The lengthy wait was encouraging to executives at Sprout, a cable channel for preschoolers that this summer is taking this ride and other attractions on a seven-city tour to raise awareness for its newest show, "Astroblast!" That animated series chronicling the adventures of the smoothie-drinking animal crew of a space station is based on Bob Kolar's books and will debut next Saturday. Sprout is just one of several channels and online outlets going to great lengths to court 2-to-5-year-olds. PBS in September will double up on "Sesame Street," adding a half-hour version to its afternoon lineup, in addition to the traditional morning hour — all part of an effort to appeal to the younger set. Disney Jr. is prepping a cartoon spinoff of "The Lion King," one of its parent company's major franchises. Within the next year, its rival Nickelodeon will push out five new preschool series, many pegged to an educational curriculum, starting Aug. 18 with "Dora and Friends: Into the City!," a spinoff of its still-going-strong "Dora the Explorer." Online, Hulu in April started rolling out 52 episodes of "Doozers," its first Hulu Kids original, based on the construction worker characters from the 1980s series "Fraggle Rock." Amazon's new shows include "Creative Galaxy" and "Wishenpoof!" from Angela Santomero's Out of the Blue Enterprises; her past hits include Nickelodeon's "Blue's Clues." Among the original preschool shows that DreamWorks Animation is making for Netflix are a remake of the religious theme "Veggie Tales" for this fall and "Dinotrux" for next spring. Media companies are focused on preschoolers because there are currently so many of them: nearly 16 million in the United States, said Cyma Zarghami, president of the Nickelodeon Group. Her channel expects that figure to grow in the coming years. Get them early, the thinking is, and these viewers can be hooked for decades, shepherded through a media company's offerings, whether ad-dependent or subscription-driven, as the youngsters grow up. "As the generation turns over at this particular point in time, they're more important to us than ever before," Ms. Zarghami said. Just as grown-ups now expect hundreds of cable channels along with YouTube and streaming services to serve up an endless supply of video discoveries, so, too, do preschoolers, who increasingly are joined in their viewing by parents. (The number of adults 18-49 watching Nick with their preschoolers has risen 18 percent in two years, according to the channel.) "There's a premium put on new," Ms. Zarghami said. At least some of the frenzied competition also reflects the entry of deep-pocketed players. NBCUniversal bought full control of Sprout in November, and in May the Sprout chicken character Chica walked the red carpet along with the Kardashians and the "Sharknado" cast at an event for advertisers. This fall, Sprout's live morning show will move from Philadelphia to a studio in NBCUniversal's 30 Rockefeller Plaza, where Sprout executives hope celebrity guests will stop by when in the building for "Today." The company's Universal Studios Hollywood theme park will help with Sprout's marketing, and its sister channel Syfy will run 90 minutes of "Astroblast!" the morning after the premiere. When Scholastic Media pitched "Astroblast!," said Sandy Wax, Sprout's president, the channel was drawn to the graphic style and the concept of a group of friends in space. The show, she said, also has humor that will appeal to parents and older siblings, and with all sorts of aliens stopping by the space station, "an embedded diversity message." "There were not really that many space shows," she added. Both Amazon and American Public Television have since introduced space-theme preschool programs. Next year, Sprout, which broadcast reruns of "Caillou" and "Bob the Builder," among others, when it started in 2005, will introduce a new original show every quarter. Two others feature aliens. The proliferation of outlets has been good for program producers. Sprout picked up "Astroblast!," which now promotes social and emotional themes, after PBS passed on its original incarnation as a show with a math curriculum. The Jim Henson Company, which is co-producing "Doozers" for Hulu and also produces PBS's "Dinosaur Train" and "Sid the Science Kid," is developing shows for Amazon and others. "We have a very supportive, mutually friendly relationship with PBS Kids, but they only launch one or two series a year, and their real estate is quite rare and hard to get," said Lisa Henson, the company's chief executive. The barriers to getting a show in front of the audience "are pretty much dissolving in front of us," said Ann Daly, chief operating officer at DreamWorks Animation. Creators with a good idea have more of a shot, too. Nickelodeon's coming "Shimmer and Shine" is from a first-time creator. "The number of people who make preschool programming is not unlimited," said Linda Simensky, vice president of children's programming for PBS, who has been seeking out authors to convince them to try their hand at a preschool show. Competition, she said, "has made everyone hungry for new voices." The online services, in particular, are providing "more opportunity for a more diverse slate of programming to be available," said Deborah Forte, who is president of Scholastic Media, which produces "Clifford the Big Red Dog," and executive producer of "Astroblast!" She added that until recently preschool television had been stuck in something of a rut, with each outlet locked in to specific brand parameters. "They really are open to new and inventive things," she said. Photo: Characters from "Dora and Friends: Into the City!" 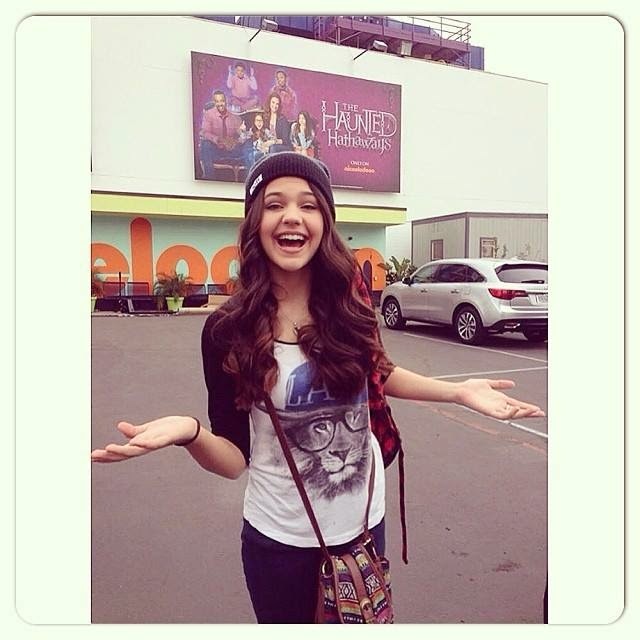 Credit Nickelodeon/Viacom International, Inc. But the glut of new shows has made getting attention more challenging. Scholastic will use its book fairs to promote "Astroblast!" Henson is in the early stages of a project to make "Doozers" the subject of a traveling children's museum show. And Nickelodeon, which will debut a Nick Jr. app in the fall, is taking the unusual step of starting the "Dora" spinoff, featuring an older version of the Hispanic title character even as the original show remains on the air. "Dora" still has what Ms. Zarghami called a "magical" relationship with viewers, so Nickelodeon decided it did not make sense to "recreate a second heroine when we already had one." The new Dora has grown to the age of 10 and with her friends works to give back to her community. Despite 14 years of success with the original Dora, nothing is being left to chance. At a March testing session at a Chelsea preschool, three groups of progressively older children gathered in lines on the floor to watch Alyssa Mazzei, a research assistant, read aloud a flip-page storyboard of an episode in which the group saves a golden parrot and the hidden city of El Dorado. Two researchers and a camera monitored the kids' faces. After each episode, the kids answered questions to determine if they had followed the plot, learned the Spanish, absorbed the empathy lessons, seen anything that made them sad and thought the parrot was funny. A subsequent test of an animated black-and-white storyboard would check at what point the young viewers' eyes wandered. Chris Gifford, co-creator of both "Dora" shows, sat in the back taking detailed notes, miming story actions along with the kids and laughing silently as Ms. Mazzei squawked like a parrot. But when it came to cutting dialogue that the kids didn't understand, he was ruthless, reworking the episode on the fly. "We write these lines, and we laugh and laugh," he said. But ultimately, he said, it would be the children who would determine what made the cut. To celebrate Nickelodeon commissioning a brand-new third season of the networks hit fantasy television series "Every Witch Way", Just Jared Jr. recently unveiled a exclusive interview with Nickelodeon Star Paola Andino, who plays Emma Alonso in Nick's EWW! JJJ caught up with actress Paola Andino, who plays Emma on the show ["Every Witch Way"], to get the scoop on her character, what's coming in season three and more. JJJ: Tell us how Emma has changed since season 1, where do you think the final episode of season 2 left her character? Paola Andino: Emma has evolved and matured so much since season 1, not just as a witch but as a teenage girl. She is a lot more responsible with her powers and less naive. She showed everyone this season that she's not afraid to stand up for herself. That made me really happy because it was something I could relate to and I hope the audience could, as well. The final episode of season 2 left her stronger than ever. After the epic battle with her evil clone, she proved that she really will do anything to protect her loved ones, like Daniel and Andi. JJJ: What would you love to see happen with Emma in season 3? PA: After all of the relationship drama in the first and second season, I would love to see a more independent Emma that focuses her time on the amazing powers she has. Girl power as a teen and witch! I also think it would be so cool if she could get a puppy. How adorable would that be? JJJ: Tell us about working with your co-stars? PA: After working with the same people for 2 seasons, my co-stars are definitely my second family. We spend so much time together and are so comfortable around each other. I think that's the best thing about working with them. We can all be ourselves. JJJ: Congrats on your Imagen Award nomination! What did it mean to you? PA: Thank you so much! It meant so much to me to be nominated for an Imagen Award; a huge honor. It was all about recognizing that I'm Puerto Rican, Latina, and so proud. The night of the awards was an incredible experience and it was great to spend quality time with other Latino/as that are working hard and successful in this industry. JJJ: You looked amazing at the awards, tell us about your personal style? PA: Sometimes I just like to be a casual, jeans and t-shirt kinda girl but a few of my favorite designers include Rebecca Taylor, Rag and Bone, Alice & Olivia, Elizabeth and James, Parker, Top Shop, and BCBG! JJJ: We hear that you speak fluent Spanish! How old were you when you left Puerto Rico? Tell us about what your Latina roots mean to you. PA: I was almost 3 years old when I left Puerto Rico and moved to Dallas, TX. When it comes to my roots, I am constantly sharing the fact that I'm Latina. There aren't very many Latinas in this industry. I think it makes me different than other girls, almost like a little flare that hopefully makes me stand out. I want my name to be remembered and it would mean the world to me to have young Latina girls believe that they can succeed in whatever their hearts' desire because I know exactly what that feels like. JJJ: What are the differences and similarities between Emma and Paola? PA: Emma and I have a lot in common. She's honest, innocent, and always wants to fix problems when they come up, like me. The main difference between Emma and I is the way she handles all of the power she has. She's the Chosen One which means she's the most powerful witch in her generation but she lets people distract her sometimes. I wouldn't have time for boys or mean girls if I were a witch. My face would be glued to the Hexoren, the book of spells, and I'd always be practicing. JJJ: Where do you see yourself in five years? PA: In five years, I see myself consistently working and staying busy as an actress. I want to be known for my versatility and taking on unexpected roles. Making the transition from TV to film eventually would be great! I'm open to any genre but dramatic films have always been my passion, so it would be awesome to start doing those and show people a completely different side to me they've never seen before. I always love a good challenge in a role. JJJ: Who are your role models? The Anime News Network (ANN) is reporting the exciting "Power Rangers" news that Saban Brands revealed the cast who will be starring and the characters they'll be playing in the upcoming 22nd season of Saban's popular "Power Rangers" franchise, "Power Rangers Dino Charge", which Nickelodeon USA will start to premiere and show from early 2015! 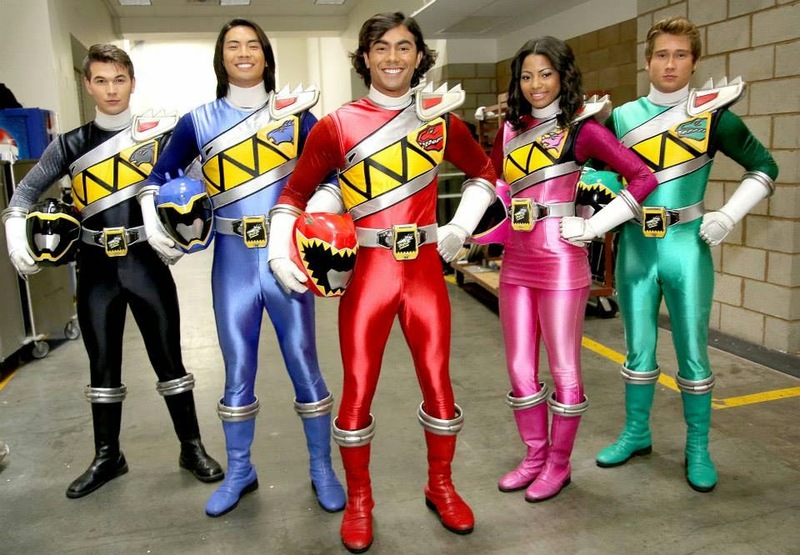 Saban Brands unveiled the cast of PRDC at their super-charged panel at Power Morphicon 4 on Saturday 23rd August 2014! James Davies as Chase / Black Dino Charge Ranger. On pre-historic planet Earth, an alien secretly entrusted the powerful Paragon Prisms to 12 majestic dinosaurs for protection, but when asteroids hit and the dinosaurs went extinct, the prisms were lost. In "Power Rangers Dino Charge", set in present day, an intergalactic bounty hunter has arrived and starts sniffing around Earth, determined to locate the prisms, harness their power, and annihilate the world. To face this threat, a new team of heroic Power Rangers must join together, find all of the lost prisms, and use their prehistoric energy to charge up an arsenal of dino-powered swords, blasters, zords and Megazords in order to save the world! "Power Rangers Dino Charge" will adapt Toei's Jūden Sentai Kyōryūger special-effects television series. "Mighty Morphin Power Rangers" actor Austin St. John, who played Jason Lee Scott, the original Red Ranger and first leader of the Power Rangers, also announced at the Original Rangers panel at the Power Morphicon 4 that he is currently in talks with Saban to return for the upcoming "Power Rangers: Dino Charge" TV series. However, he did not say in what capacity he would appear in the series. Additionally, to celebrate Nick USA starting to debut more all-new episodes of Saban's "Power Rangers Super Megaforce" from Saturday 30th August 2014 at 12:00pm (ET/PT), Nickelodeon USA has digitally premiered the first new episode, "The Power of Six", online a week early on the networks official website, which fans in North America can watch in full here on Nick.com! 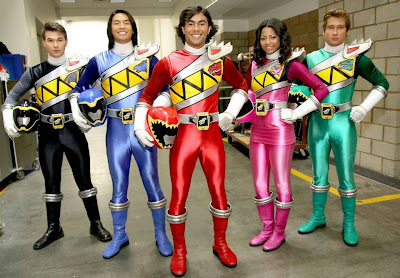 During this brand-new episode, when his Ranger teammates are sidelined by an energy-sucking monster, Jake must put aside his jealousy of Orion and help him use the combined power of the past Sixth Rangers to defeat this terrible foe. Plus, Lionsgate will debut the new "Power Rangers" live-action movie in theaters on Friday 22nd July 2016. Writers Ashley Miller and Zack Stentz are penning the script. The two writers previously wrote the "X-Men: First Class" and "Thor" films. "Star Trek" and "Transformers" writer Roberto Orci is also signing on as executive producer. iStoryTime Announces New Digital Publishing Partnership with Nickelodeon for Development of Storybooks Inspired by "SpongeBob SquarePants" and "Dora the Explorer"
Nickelodeon, the number-one entertainment brand for kids and families, and the New York-based app developer Cupcake Digital have announced the exciting news in the following press release that Nickelodeon and Cupcake Digital have partnered to release a series of titles based on popular Nickelodeon properties on Cupcake's iStoryTime Library! The two-year digital publishing licensing agreement will start with narrated storybooks featuring characters from "SpongeBob SquarePants" and "Dora the Explorer", such as SpongeBob's "Big Win" and Dora's "Easter Basket", which will become available on the free-to-download children's ebook app this month (August 2014). The titles will be made available for free to subscribers, or they can be purchased individually. The new partnership expands iStoryTime's offerings to 250 titles, including books featuring characters from DreamWorks Animation, Sony, PBS, Nick Jr. UK's "Tickety Toc", and Nick Junior's "Wow! Wow! Wubbzy!". NEW YORK, NY (AUGUST 19, 2014) – The iStoryTime Library, powered by Cupcake Digital, Inc., will now include exciting new titles from Nickelodeon, the number-one entertainment brand for kids. Narrated storybooks featuring popular characters from the network’s hit series SpongeBob SquarePants and Dora the Explorer, will be added to the free-to-download library app, beginning this month. Each book is provided as a free update to subscribers or can be purchased individually. The new two-year licensing agreement covers a range of books from Nickelodeon’s hit lineup, joining iStoryTime’s existing content relationships with DreamWorks Animation, Sony, Lafig Belgium/IMPS for Smurfs, PBS, and others. "The opportunity to partner with a top kids brand like Nick, and to be able to bring SpongeBob and Dora titles to the iStoryTime library, is really exciting," said iStoryTime President Graham Farrar. "We continue to grow our library of high quality, narrated titles that kids love and parents feel good about, and Dora and SpongBob are the perfect fit – which makes us and our customers smile." "At Nickelodeon, we strive to be everywhere kids are, from television, to the play room and even on the go," said Paula Allen, Senior Vice President Global Publishing, Nickelodeon Consumer Products. "Partnering with Cupcake Digital to bring stories from our most popular characters to mobile devices is sure to set kids off on literary adventures." Founded in 2012, Cupcake Digital, Inc. gives kids the opportunity to interact with the characters they love by transforming children’s entertainment properties into award-winning apps. The Company’s apps are consistently top-ranked on the Apple App Store, Amazon Appstore for Android, Google Play and the Barnes & Noble NOOK Store. Cupcake’s licensed IP portfolio includes Wow! Wow! Wubbzy!, Jim Henson’s Fraggle Rock, Strawberry Shortcake, VeggieTales, Yo Gabba Gabba!, Animal Planet, The Smurfs, Sid the Science Kid, Barney, Mike the Knight, Cloudy with a Chance of Meatballs, Puss In Boots, How To Train Your Dragon, Madagascar, Shrek, and Kung Fu Panda. For more information about Cupcake Digital Inc., please visit www.cupcakedigital.com. The iStoryTime Library is a free app that offers both a la carte and subscription access to a large and growing collection of storybooks based on The Smurfs, Dora the Explorer, How To Train Your Dragon, Madagascar, SpongeBob Squarepants, Kung Fu Panda, and Barney, among many others. The app is an excellent tool for parents to provide children with an experience that is both entertaining and encourages reading. New storybooks are added weekly and can be enjoyed in several modes, ranging from narrated stories to reading the story as a book. For additional information visit www.iStoryTime.com. Follow NickALive! on Twitter, Tumblr, Google+, via RSS, on Instagram, and/or Facebook for the latest SpongeBob SquarePants, Dora the Explorer and Nickelodeon Publishing News! Nickelodeon UK has announced some of the exciting action which will feature in the upcoming fourth brand-new episode of Nick UK's gigantic brand-new magazine-style show "Get Your Skills On"! In episode four of "Get Your Skills On", which Nickelodeon UK and Ireland and Nickelodeon HD UK will premiere and show on Saturday 30th August 2014 at 9:00am (repeated at 10:00am on Nick+1), the action steps up a gear, as the Fruit Shoot Skills Crew face their biggest skate park challenge yet! Plus, Diversity's Jordan and Perri take over a London Underground station for a special danceoff (you can't have a dance-off without Jordan & Perri! ), MC Zani uncovers the basics of beatboxing, Aidan Davis swings by for a skills test, Pixie Lott will be performing LIVE, and the the next set of talented Skillsters nominated for a coveted "2014 Fruit Shoot Skills Awards" award will be revealed! Following the debut of the third new episode of "Get Your Skills On", Nickelodeon UK will encore episode three on Sunday 31st August 2014 at 6:30pm (repeated at 7:30pm on Nick+1). Don't forget to vote for your favourite street dancer to win the Beat Masters "Fruit Shoot Skills Awards 2014" award today at nick.co.uk/getyourskillson! Nickelodeon, the number-one entertainment brand for kids and families, has announced in the following press release, from OurSports Central, the exciting news that Nickelodeon and The Brooklyn Cyclones are teaming up to bring you The '90s Are All That Night, which will be held at MCU Park on Wednesday 27th August 2014! As part of the game, which will see the Cyclones take on the Staten Island Yankees at 7:00pm, Nickelodeon legend Kel Mitchell, star of the iconic Classic Nickelodeon shows "All That" and "Kenan & Kel", will throw out the first pitch! Prior to the game, 100 fans will be given the opportunity to purchase a special Double Dare LIVE! ticket package. For just $25, each fan will receive a field box seat to the game, a Nickelodeon '90s-themed t-shirt, sunglasses, a headband and exclusive admission into the pre-taping of "Double Dare LIVE!" at MCU Park. Select fans will be chosen at random to compete in the "Double Dare" games and activities - complete with Nickelodeon's signature green slime, whipped cream and more - to be aired in-between innings during that night's game. In addition, all seats are just $10 - for a throwback 1990s price! The first 3,000 fans to enter the stadium will receive a '90s Are All That branded sweatband courtesy of TeenNick, Nickelodeon's 24-hour TV network exclusively for and about teens and tweens. The evening will also feature appearances by Angelica Pickles, Tommy Pickles and Chuckie Finster from the classic NickToon "Rugrats", who will be on hand for photo ops. Fans can also immortalize the night's festivities at the '90s Are All That photo booth, complete with throwback props, including the Aggro Crag trophy from Nick's hit game shows "Guts" and "Global Guts". Lastly, all 150 concession stand employees will be wearing "Good Burger" hats. 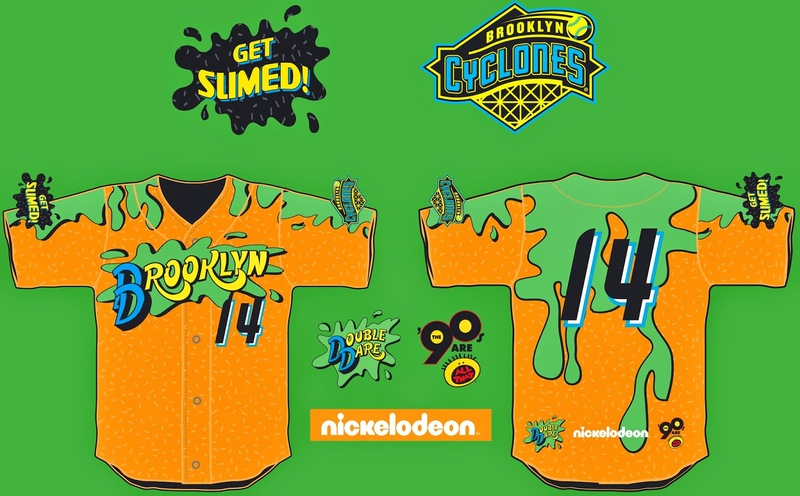 The Brooklyn Cyclones players will be wearing one-of-a-kind orange, Nickelodeon, "Double Dare" themed jerseys - complete with slime. The jerseys will be raffled off, on-field at the conclusion of the game. All proceeds will benefit the Amyotrophic Lateral Sclerosis Association (ALSA). Also known as Lou Gehrig's Disease, ALS is a progressive neurodegenerative disease that affects nerve cells in the brain and the spinal cord. "We'll be celebrating alot of things from the 90s that will make people say 'Oh yeah, I remember that,'" said Cyclones Vice President Steve Cohen. "And we hope that through all of the money raised through the ice bucket challenege and other events like our jersey raffle, that in the not-to-distant future people will be able to make Lou Gehrig's disease a distant memory as well." The 90's fun doesn't just stop there. Prizes will be given out throughout the night to lucky fans-including Fun Dip, slap bracelets, Nickelodeon memorabilia and more. Some in-between inning contests and concourse games will include, playing Pogs on the concourse, a Pokemon "Gotta Catch Em All" on-field contest and a "Mario Kart" push cart race on field. During the game on August 27th, fans will have the chance to make a donation to ALS and then join the team on the field post-game to participate in the ice bucket challenge around the infield. It's going to be a great night, to benefit a great cause. More '90s-themed games and prizes will be announced as the event approaches. Tickets for the game-at a throwback price of $10-are available now by calling 718-507-TIXX, logging on to BrooklynCyclones.com or in person at the MCU Park box office. A host of Nickelodeon Stars have also recently braved the ALS Ice Bucket Challenge, including Luke Bilyk and Ana Golja ("Degrassi"), Nathan Kress ("iCarly"), Nick Cannon (TeenNick), the cast of "Nicky, Ricky, Dicky & Dawn", Nickelodeon voice actor Tara Strong "Fairly OddParents", Taylor Gray, Dillon Lane and Tiffany Espensen ("Bucket & Skinner's Epic Adventures"), Cooper Barnes ("Henry Danger"), Chico Benymon ("The Haunted Hathaways"), Kira Kosarin, Jack Griffo, Addison Riecke, Diego Velazquez, and Audrey Whitby ("The Thundermans"), Ryan Newman and Scott Baio ("See Dad Run"), Max Schneider ("How to Rock", "Rags"), and Robbie Amell ("True Jackson, VP")! You can watch them taking their ALS Ice Bucket Challenges here on NICKandMORE! Brooklyn CyclonesNEW YORK, NY, August 22, 2014 - On your mark, get set, go! Break out your Starter jackets, frost your tips, and put on your Doc Martens because the "90s are back in Brooklyn for one night only-and they're All That! On Wednesday, August 27, 2014, The Brooklyn Cyclones and Nickelodeon are joining forces to bring you The "90s Are All That Night, when the Cyclones take on the Staten Island Yankees at 7 p.m. Kel Mitchell, star of iconic Nickelodeon "90s shows All That and Kenan & Kel, will throw out the first pitch. Prior to the game, 100 fans will be given the opportunity to purchase a special Double Dare LIVE! ticket package. For just $25, each fan will receive a field box seat to the game, a Nickelodeon "90s-themed t-shirt, sunglasses, a headband and exclusive admission into the pre-taping of Double Dare LIVE! at MCU Park. Select fans will be chosen at random to compete in the Double Dare games and activities-complete with their signature green slime, whipped cream and more-to be aired in-between innings during that night's game. In addition, all seats are just $10-for a throwback "90s price! The first 3,000 fans to enter the stadium will receive a "90s Are All That branded sweatband courtesy of TeenNick, Nickelodeon's 24-hour TV network exclusively for and about teens and tweens. The evening will also feature appearances by Angelica Pickles, Tommy Pickles and Chuckie Finster from the Nickelodeon animated classic, Rugrats, who will be on hand for photo ops. Fans can also immortalize the night's festivities at the "90s Are All That photo booth, complete with throwback props, including the Aggro Crag trophy from Nick's hit game show Guts. Lastly, all 150 concession stand employees will be wearing Good Burger hats. 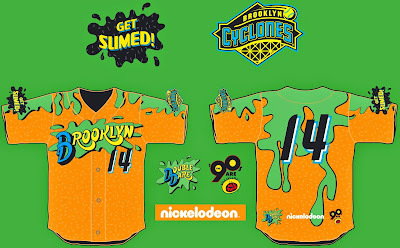 The Brooklyn Cyclones players will be wearing one-of-a-kind orange, Nickelodeon, Double Dare themed jerseys-complete with slime. The jerseys will be raffled off, on-field at the conclusion of the game. All proceeds will benefit the Amyotrophic Lateral Sclerosis Association (ALSA). Also known as Lou Gehrig's Disease, ALS is a progressive neurodegenerative disease that affects nerve cells in the brain and the spinal cord. The fun doesn't just stop there. Prizes will be given out throughout the night to lucky fans-including Fun Dip, slap bracelets, Nickelodeon memorabilia and more. Some in-between inning contests and concourse games will include, playing Pogs on the concourse, a Pokemon "Gotta Catch Em All" on-field contest and a Mario Kart push cart race on field. More "90s-themed games and prizes will be announced as the event approaches. Tickets for the game-at a throwback price of $10-are available now by calling 718-507-TIXX, logging on to BrooklynCyclones.com or in person at the MCU Park box office. ABOUT TEENNICK'S "THE "90S ARE ALL THAT"
"The 90s Are All That" is a two-hour, weeknight programming block on TeenNick that features a rotating lineup of Nickelodeon's iconic "90s hits--complete with deeply integrated, fan-driven social media components on Facebook (www.facebook.com/90sAreAllThat) and at www.90sAreAllThat.com. Sparked by rising demand via the internet and social media platforms from young adults who grew up with Nickelodeon in the 1990s, TeenNick has curated the block and its accompanying online content with the fans' specific requests in mind. The block features hit shows including All That, Kenan & Kel, Clarissa Explains It All, CatDog, Hey Arnold!, Rocket Power, Hey Dude and Doug, and airs on TeenNick Monday-Friday from 12-2 a.m. (ET) with a replay from 2-4 a.m. (ET). Follow NickALive! on Twitter, Tumblr, Google+, via RSS, on Instagram, and/or Facebook for the latest Nickelodeon, TeenNick and The 90s Are All That News and Highlights! The Nickelodeon USA fanblog NICKandMORE is reporting the exciting news that Nicktoons USA, Nickelodeon USA's animation and action channel, will launch a brand-new sports-themed programming block called Nick Sports in September 2014! Launching Wednesday 3rd September 2014, Nick Sports will feature sports highlights along with sports-themed shows and movies, similar to Nick GAS. To celebrate and promote their new block, NickToons aired a preview of Nick Sports on Wednesday 20th August 2014, which featured Nickelodeon Star Nick Cannon ("All That", "The Nick Cannon Show", "Rags", "TeenNick Halo Awards" and the Chairman of 'TeenNick') hosting a press-like news conference, which took a look at Nick Sports' upcoming highlights. NickToons' Nick Sports preview also featured the 1993 movie "Airborne". As part of the blocks launch schedule, Nick Sports will premiere and show brand-new episodes of NickToons' popular sports-themed animated series "Wild Grinders" and "NFL RUSH ZONE" at 9:00pm and 9:30pm, respectively, from Wednesday 3rd September 2014. Follow NickALive! on Twitter, Tumblr, Google+, via RSS, on Instagram, and/or Facebook for the latest Nickelodeon, NickToons and Nick Sports News and Highlights! Nickelodeon, the number-one entertainment brand for kids and families, has announced and confirmed in the following press release, from Business Wire, the exciting news Nick USA will start to premiere and show the networks brand-new original comedy series "Nicky, Ricky, Dicky & Dawn" from Saturday 13th September 2014 at 8:30pm (ET/PT), as part of a night of back-to-back series premieres with Nickelodeon's other new live-action comedy, "Henry Danger", premiering at 8:00pm (ET/PT) for an all-new Saturday night live-action comedy lineup. Following the series debut, NRDD will air regularly on Nickelodeon USA Saturdays at 8:30pm (ET/PT). Leading up to the September 13 premiere of "Nicky, Ricky, Dicky & Dawn", fans can visit www.Nick.com/nrdd to access exclusive sneak peeks, photo galleries, quizzes and behind-the-scenes action straight from the studio set. The series will be available for download on iTunes, Amazon, Xbox, Sony, Vudu, Nook, Google and Fios Flex View beginning Sunday 14th September 2014. SANTA MONICA, Calif.--(BUSINESS WIRE)--Nickelodeon takes sibling rivalry to a whole new level when Nicky, Ricky, Dicky & Dawn premieres on Saturday, Sept. 13 at 8:30p.m. (ET/PT). The series follows the hysterical adventures of the 10-year-old quadruplets of the title who don't have much in common, except their birthday. Nicky, Ricky, Dicky & Dawn will launch with the network's new series Henry Danger for an all-new Saturday night live-action comedy lineup. "Nicky, Ricky, Dicky & Dawn stars Aidan Gallagher (Modern Family) as Nicky, Casey Simpson (Despicable Me 2) as Ricky, Mace Coronel (The Bold and the Beautiful) as Dicky and Lizzy Greene as Dawn. Rounding out the cast are Allison Munn (That '70s Show) who plays the Harpers' mother Anne, Brian Stepanek (The Suite Life of Zack and Cody) as their father Tom and Gabrielle Elyse (The Thundermans) as 16-year-old Josie, a close friend and confidante to the kids and an employee at the Harper family store Get Sporty! This season will find the Harper quadruplets in situations everyday kids experience, but multiplied by four. From each of them planning their own "grownup" birthday parties to finding the perfect babysitter to seeing a scary movie for the first time, Nicky, Ricky, Dicky & Dawn may approach life differently, but in the end they can always depend on each other. Nicky, Ricky, Dicky & Dawn is created by Matt Fleckenstein and executive-produced by Michael Feldman and Fleckenstein. Michael Feldman's writing and producing career has left an imprint on the entertainment industry for the last two decades. After spending six years producing radio and television commercials for the world renowned Ringling Bros. and Barnum & Bailey Circus, Disney on Ice and Siegfried & Roy, he was accepted into the coveted Warner Bros. writing program. Feldman subsequently landed writing jobs for some of television's most beloved sitcoms including Everyone Loves Raymond, Yes, Dear, Boston Common, The Gregory Hines Show and The Brian Benben Show, among others before accepting a position on Disney Channel's first multi-camera sitcom, That's So Raven. During his 10-year tenure at Disney, he also developed and executive produced Sonny with a Chance and So Random. Feldman joined the Nickelodeon family in 2012 as an Executive Producer for Nick at Nite's first original comedy series, See Dad Run starring Scott Baio. Matt Fleckenstein received his break working as Seth MacFarlane's assistant, which eventually led to writing his first produced episode of television for Family Guy. From there, he has written and produced various animated and live-action series including the Emmy Award-winning PBS series WordGirl, as well as several hit Nickelodeon series including Drake and Josh and iCarly. The father of five children all within five years of each other, Fleckenstein brings his unique life experience to Nicky, Ricky, Dicky & Dawn. Follow NickALive! on Twitter, Tumblr, Google+, via RSS, on Instagram, and/or Facebook for all the latest Nickelodeon and Nicky, Ricky, Dicky & Dawn News! 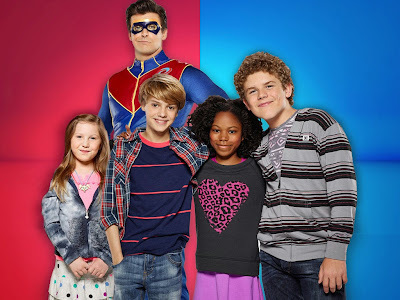 Nickelodeon, the number-one entertainment brand for kids and families, has announced and confirmed in the following press release, from Business Wire, the exciting news Nick USA will start to fully premiere and show the networks brand-new original crime-fighting comedy series "Henry Danger" from Saturday 13th September 2014 at 8:00pm (ET/PT), as part of a night of back-to-back series premieres with Nickelodeon's other new live-action comedy, "Nicky Ricky Dicky & Dawn", premiering at 8:30pm (ET/PT)! Following the series debut, "Henry Danger" will air regularly on Nickelodeon USA Saturdays at 8pm (ET/PT). SANTA MONICA, Calif.--(BUSINESS WIRE)--An ordinary 13-year-old kid's life takes a wild turn when he lands the dream job as the sidekick-in-training to a superhero in Nickelodeon's new live-action comedy Henry Danger, premiering Saturday, Sept. 13, at 8 p.m. (ET/PT). Henry Danger kicks off a night of back-to-back series premieres with Nickelodeon's other new live-action comedy, Nicky Ricky Dicky & Dawn, premiering at 8:30 p.m. (ET/PT). Henry Danger, a multi-camera, scripted half-hour series created and executive produced by multi-Emmy nominated hit-maker Dan Schneider (Sam & Cat, Victorious, iCarly, Zoey 101, Drake & Josh) and co-creator and co-executive producer Dana Olsen (George of the Jungle, Inspector Gadget) follows the adventures of Henry Hart (Jace Norman) who gets selected by superhero Captain Man (Cooper Barnes) to be his apprentice. After promising to keep his new identity a secret, Henry must navigate a double life balancing the challenges of eighth grade with the crazy adventures of a crime fighter. Henry Danger will air regularly on Nickelodeon Saturdays at 8 p.m. (ET/PT). In the series premiere, Henry discovers that being a superhero's sidekick is much harder than he ever thought. Henry desperately struggles to balance the demands of his schoolwork, his family responsibilities, and his new job as Kid Danger — all while keeping his crime fighting alter ego a secret from everyone he knows, including his two best friends Charlotte (Riele Downs) and Jasper (Sean Ryan Fox) and younger sister Piper (Ella Anderson). When Henry's life begins to crumble under the pressure, he turns to Captain Man for help. Captain Man offers Henry the use of an amazing new device that solves Henry's problems...at first. But it comes with a high cost, as Henry discovers at school the next day. Viewers will get an immersive look at Henry's whole world online at Nick.com/HenryDanger. Fans of the show will enjoy a personalized, interactive experience with fun games, pictures and a series of motion comics. There will also be an opportunity to interview Captain Man himself for the position of superhero sidekick, take a quiz to find out your own sidekick personality and watch exclusive behind-the-scenes footage with the cast to learn all about the next generation of Nick stars both on and off screen. Writer-producer Dan Schneider has established himself as a dominant force in the world of family entertainment by creatively drawing on his affinity for youth culture at Nickelodeon. Under his Schneider's Bakery Productions, he has carved a unique, progressive niche in the world of kid and family entertainment as creator and executive producer of mega-hit series Sam & Cat, iCarly, Victorious and Zoey 101, which have received multiple Emmy nominations. Schneider also created/executive produced The Amanda Show and Drake & Josh. In addition, his series all have the distinction of having won numerous Kids' Choice Awards and he recently received the first-ever Kids' Choice Lifetime Achievement Award. Schneider began with Nickelodeon as executive producer and show runner on the network's groundbreaking sketch comedy series All That from 1994 to 1998, and then returned to run the show in its seventh season. After which, he went on to produce Kenan & Kel, starring Kenan Thompson and Kel Mitchell. Schneider also created the hit WB series What I Like About You. His comedic success has also translated on the big screen, writing and producing the popular films, Good Burger and Big Fat Liar. Actor, producer and screenwriter Dana Olsen has written on several movies and television series, including Inspector Gadget, Memoirs of an Invisible Man, George of the Jungle, The 'Burbs, Wacko, It Came from Hollywood, Laverne & Shirley and Joanie Loves Chachi. He has also made on-screen appearances in Sammy the Screenplay, The 'Burbs and Making the Grade. Nickelodeon, now in its 35th year, is the number-one entertainment brand for kids. It has built a diverse, global business by putting kids first in everything it does. The company includes television programming and production in the United States and around the world, plus consumer products, online, recreation, books and feature films. Nickelodeon's U.S. television network is seen in almost 100 million households and has been the number-one-rated basic cable network for 19 consecutive years. For more information or artwork, visit http://www.nickpress.com. Nickelodeon and all related titles, characters and logos are trademarks of Viacom Inc. (NASDAQ:VIA, VIA.B).